A bit of band back story: since reuniting in 2005, Van Der Graaf Generator has released a number (four, actually) of critically-acclaimed albums featuring long-time members Peter Hammill (vocals & guitar), Hugh Banton (bass & keyboards), and Guy Evans (drums & percussion), including their reunion album Present, cited by Classic Rock magazine as one of the ten essential prog-rock albums of the decade. In June 2013, the trio performed a series of live concerts that featured a set list of rarely-performed album tracks like the sprawling 23-minute “A Plague of Lighthouse Keepers,” from the band’s 1971 album Pawn Hearts, which had never been played in its entirety on stage. Hammill’s solo track “Flight” is another such song, a 19-minute epic from the guitarist’s 1980 solo album A Black Box. Together, these two rare album tracks became the heart of the band’s live performances, which also drew upon classic songs from past albums as well as from newer recordings like 2011’s A Grounding In Numbers. Several of these shows were recorded and compiled to create Merlin Atmos, a solid work from a still-innovative and exciting band. The limited-edition two-disc digipack edition also includes an additional 70-minute CD of extras recorded during the 2013 European tour. Van der Graaf Generator was formed in 1967 by Hammill and Chris Judge Smith, who would leave the band a year later. The band was the first act signed by the legendary Charisma Records label, releasing their debut album, The Aerosol Grey Machine, in 1969. The band would shuffle through various line-ups and even break up on occasion before settling into a roster that included Hammill, Banton, Evans, and saxophonist David Jackson. 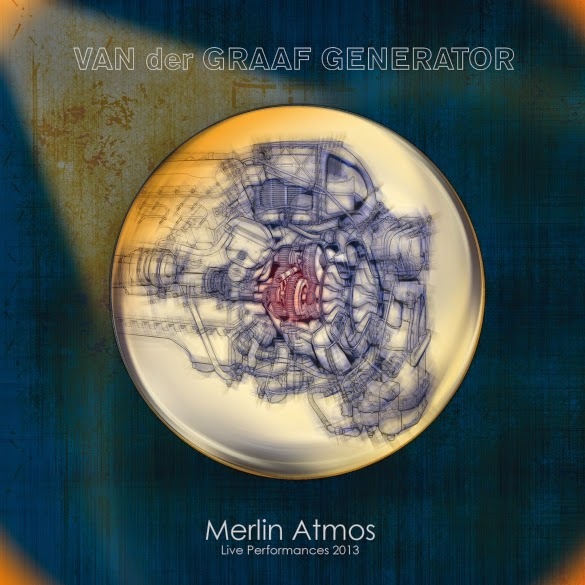 Van der Graaf Generator would release eight albums until they broke-up one last time in 1977, including such critically-acclaimed recordings as Pawn Hearts and 1976’s Still Life. While the band found very little commercial success outside of Italy (where they were curiously popular), their immense musical legacy has endured, influencing artists like Rush, Bruce Dickinson of Iron Maiden, Julian Cope, John Lydon of Public Image Ltd, and Marillion, among many others.